Hi Roberta You could order what they call a service panel and splice that into your pool wall. You could buy and replace your rusted bottom rails, if you can find them. 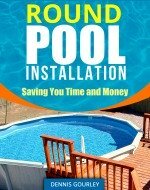 You could also patch all the pinholes, but the best advice I could give you is to replace the pool with either a new one, or even a used one. It would be less expensive, safer and a lot less trouble.